Join us for a morning of meditation and sound immersion on our lawn. Laura Dunworth has been an educator since 1992. She is a loving wife and mother of two sons. After the loss of her beloved, younger brother in 1997, Laura began a spiritual journey of healing and growth. She began to explore the healing arts of yoga, meditation and energy healing. 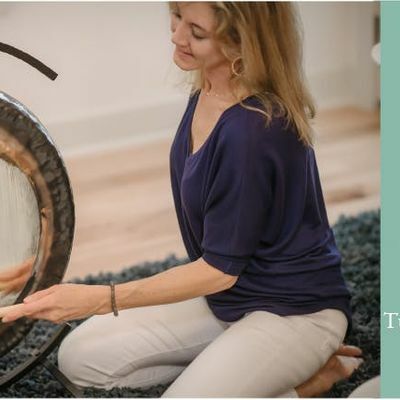 Today, Laura is passionate about helping clients transform their lives through practices which promote body, mind and spirit healing and wellness. She is a Certified Yoga Teacher, Reiki Master Healer, Holistic Health Coach and Meditation Teacher. Laura empowers her students by creating a safe and compassionate space for healing and transformation to occur. If there is rain or if too few tickets are sold, we will cancel the event and refund all orders.